Gas piston operating system. Equipped with a folding SBX pistol stabilizing brace. 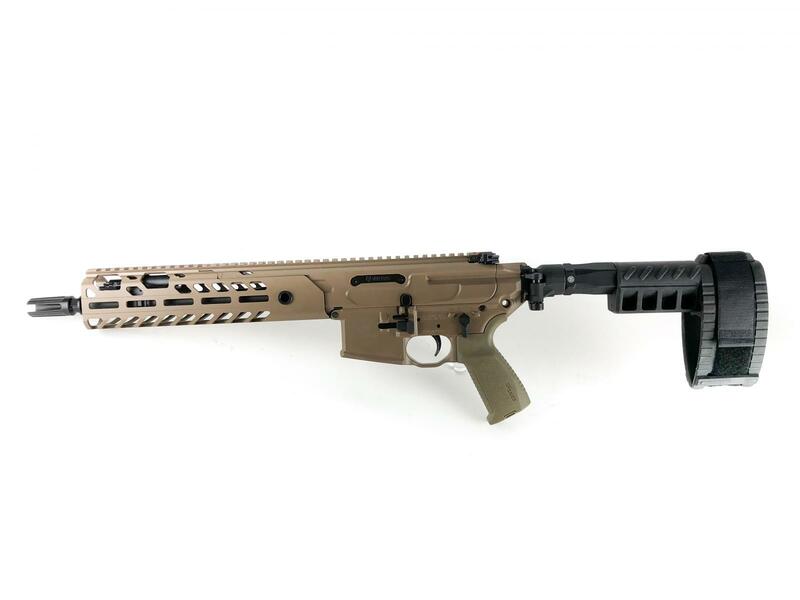 Heavy contour, cold hammer-forged, carbon steel threaded barrel, user-changeable. Internal recoil system for reduced recoil. Features the Matchlite Duo trigger. 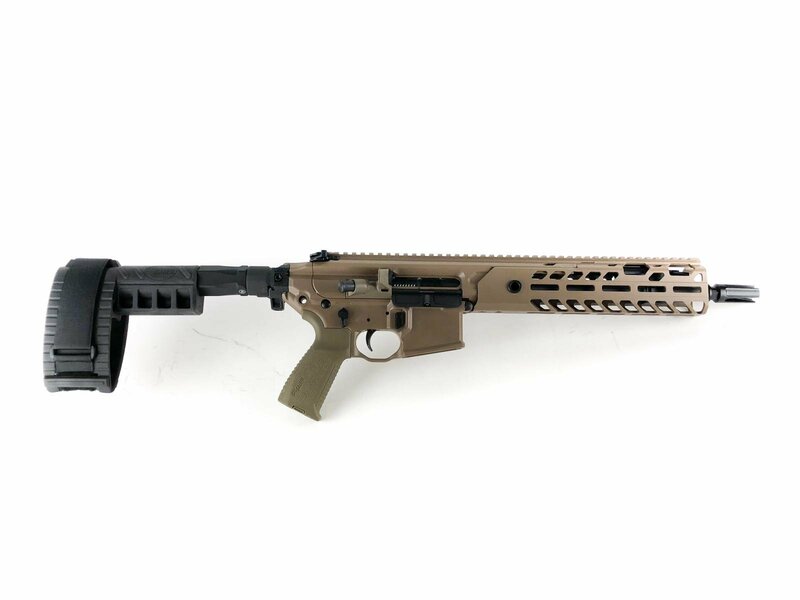 Free-floating M-LOK alloy handguard with expanded valve access windows.. Ambidextrous AR-style controls. Polymer grip. 30-round polymer magazine. Tapered lug design for smoother cycling and longer lasting bolt.